VANCOUVER FILM. NET: "Supergirl: We Can Be Heroes"
"Supergirl: We Can Be Heroes"
"...after 'Livewire' (Brit Morgan) breaks out of prison, 'Supergirl' (Melissa Benoist) is intent on recapturing her. "After training 'Mon-El' (Chris Wood), Supergirl takes him with her when she sees Livewire attack the 'NCPD' but things go awry when Mon-El puts Supergirl before the citizens of 'National City'. 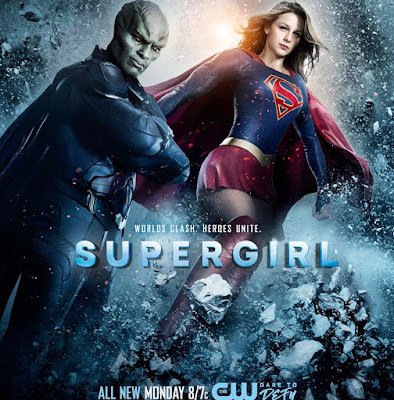 "Meanwhile, 'James' (Mehcad Brooks) decides to come clean with 'Kara' and 'M'Gann' (Sharon Leal), has a psychic attack and collapses into a coma..."